On the season premiere of Eat Your Words, Cathy is joined by journalist Ted Genoways, an acclaimed journalist and author of The Chain: Farm, Factory, and the Fate of Our Food. A contributing editor at Mother Jones, the New Republic, and Pacific Standard, he is the winner of a National Press Club Award and the James Aronson Award for Social Justice Journalism, and is a two-time James Beard Foundation Award finalist. He has received fellowships from the NEA and the Guggenheim Foundation. 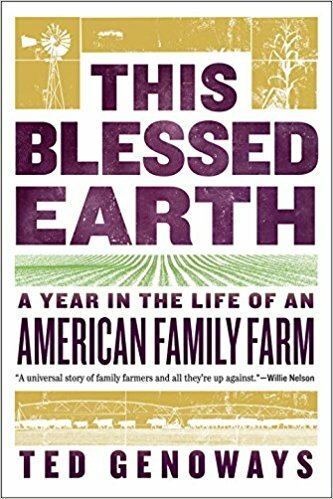 In his most recent book THIS BLESSED EARTH: A Year in the Life of an American Family Farm Ted follows a family through a year in the life of their farm, from one fall harvest to the next, and explores the intimate truth of this perilous but noble way of life. This Blessed Earth is a story that gets right to the heart of our national identity.